GE Aviation, an operating unit of GE, is a world-leading provider of jet and turboprop engines, components, integrated digital, avionics, electrical power and mechanical systems for commercial, military, business and general aviation aircraft. The engine that will power Boeing’s new 777X aircraft flew for more than four hours on its first flight, said a statement. During the flight, the aircraft and engine completed the entire test card and validated key operational and functional characteristics enabling the test campaign to progress in subsequent flights, it said. 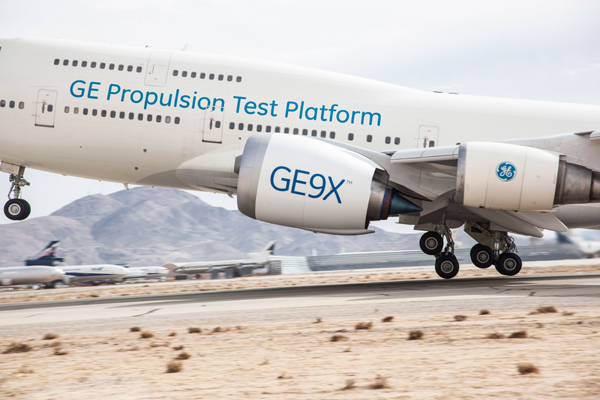 “Today’s flight starts the beginning of the GE9X flight test campaign that will last for several months, allowing us to accumulate data on how the engine performs at altitude and during various phases of flight,” he said. IHI Corporation, Safran Aircraft Engines, Safran Aero Boosters and MTU Aero Engines AG are participants in the GE9X engine programme.